Perfect Your Easter Egg Hunt! Once the weather starts to warm up after the long, cold winter, we all come down with a little spring fever! Those first days where the temperature reaches the 50s seem like a gift from heaven, and pretty soon, we know we’ll be seeing flowers sprouting! One of the best parts of spring is the Easter holiday. What says “warm weather” quite like an annual Easter egg hunt? Easter egg hunting became a popular Easter tradition in America in the 1700s. German immigrants settled in Pennsylvania and brought with them this quirky annual Osterhase tradition. Soon, the fun family activity gained popularity all over the nation. Originally, hard-boiled eggs were used, but as time went on, delicious Easter candy was incorporated into the hunt. At Blair Candy, we want you to have an Easter eggs hunt that your family will remember forever. Here are some yummy treats you can integrate into your hunt! Wonka Outdoor Egg Hunt Kit – Willy Wonka does it again with this easy to use Egg Hunt Kit! This kit comes with everything you need to kickstart your Easter egg hunt. Wonka Indoor Egg Hunt Kit – The thing about spring is you never know when it will be a rainy day. This kit from Wonka is specifically designed for indoor hunts, just in case your outdoor hunt is a wash! 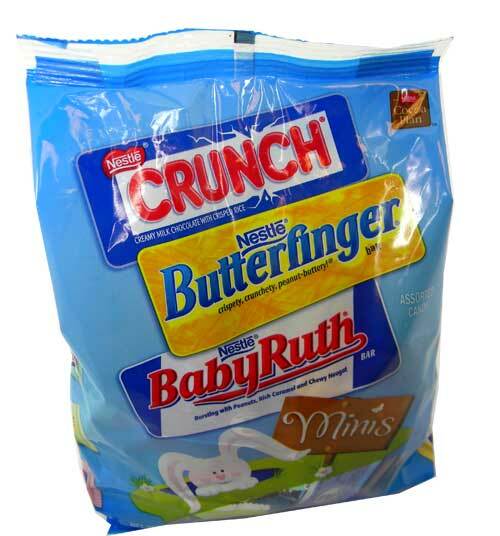 Easter Egg Hunt Candy – This massive bag contains a mix of all the candy you and your family love. Be sure to be well-stocked! St. Patrick’s Day is one of the most popular holidays in America. People all over the country don their finest green clothes and celebrate their Irish heritage with songs, drinks, and green-colored treats. We’ve always partaken in the festivities every March 17, but we always wondered why everything is so green on that day. Where did that tradition come from? Well, the story behind it is just as fascinating as the holiday itself! Originally, the color blue was associated with St. Patrick. This blue tradition lasted for hundreds of years. Over time, the color most commonly associated with St. Patrick’s Day became green. Most people believe it is because of the lush, green lands that cover the majority of Ireland. They don’t call Ireland The Emerald Isles for nothing! The prominence of green has some strong political undertones as well. In the late 1700s, the Irish faced repression from the British, and wearing a shamrock or green clothes was often seen as a strong act of rebellion against the British, and those who dared wear a shamrock or green were punished, sometimes with death. Lime Green Rock Candy Sticks – these delicious treats are perfect for bringing to your local St. Paddy’s Day parade! M&Ms Mint Dark Chocolate – yummy! 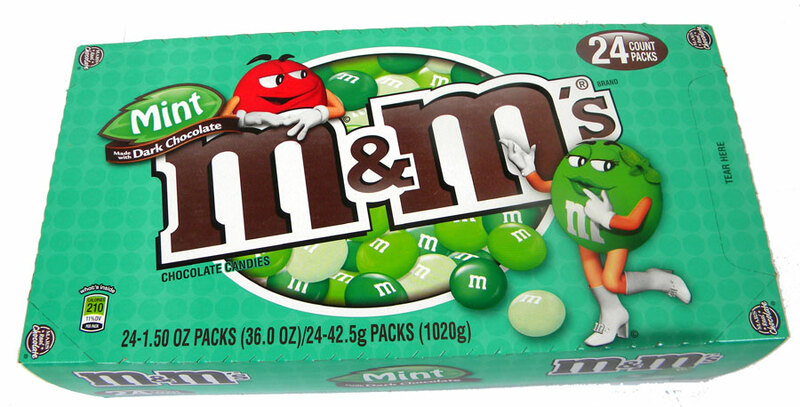 Classic M&Ms with a tasty mint flavor and green color. Applehead – how about a little sour with your sweet? Scrumptious green apple candy!